Our product range includes a wide range of asbestos cloth. 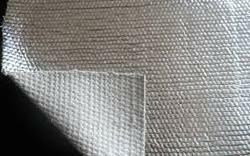 We are offering wide range of Asbestos Cloth. These products are widely used as thermal insulating material for varied building power stations, steamer and factories. These Asbestos Clothes are highly tear resistant and are easily affordable in nature.